What is Cybersecurity and What does it mean for you? With the breadth of news coverage around blockchain, hacking scandals, and data integrity, an average person polled on the street is likely to have at least a basic sense of cybersecurity, as a concept if not by name. The idea of cybersecurity is omnipresent; we know it exists, and we know it matters. A more concrete definition, however, has proved elusive. Professionals and academics alike have tried to narrow it down, but there remains no definitive, universally-accepted scope of cybersecurity. With so many definitions available, and none in precise agreement with one another, determining a way forward to cover their organisation against the spectre of cybersecurity can feel like a minefield for key decision-makers. Cybercrime may be defined as a “malicious attack to software, computers and networks”.2 In an attempt to simplify this rather complex issue, think about it in terms of being comparable to how a kidnapping is planned. Cybersecurity is therefore not merely a technology risk, but a broader business risk. Protecting the business must be seen not as an issue for the IT department but as a team-wide responsibility concerning all stakeholders. This approach debates the relationship between cybersecurity and information security – and begs the question whether they subsets of one another, or are indeed the same thing. The cyber hacker trades in digital heists such as “espionage, disinformation, market manipulation and disruption of infrastructure, on top of previous threats such as data theft, extortion and vandalism”.10 To defeat a human threat, cybersecurity strategies need to be as intelligent, dynamic, and creative as their opponent. This requires holistic solutions across interconnected systems, and drawing on insights from experts across a broad network of disciplines. By this definition, cybersecurity can broadly be considered the sum total of all strategies and systems required to defend the integrity of all confidential information held by a given institution. Advances in technology are enabling more sophisticated threats against companies.14 Security for devices connected to the internet requires large-scale reasoning and solutions. This includes cell phones, tablets, technological accessories like headphones and fitness monitors. Cybersecurity needs to encompass all business processes and functions to be effective. How are you protecting your organisation against cyberthreats? Gaining an awareness of your network and what’s at stake may be your best safety net. 1. Know the value of your data: Understand the true value of your data – not only for your company, but for those who want to steal it. Recognise how your data could be leveraged for financial or intrinsic gain. 2. Know who has access to your data: Both internally and externally, and who has administrative rights. 3. Know where your data is: Be aware of where are you storing your proprietary data. Whether it’s stored locally, or on the cloud, you need to be aware of how it’s maintained, and whether you can trust service providers to protect your data from third parties. Ensure any third-party providers tasked with storing your data are thoroughly vetted. 4. Know who is protecting your data: You need to have a comprehensive understanding of what processes those tasked with protecting your assets follow, and how easily you can reach them when a breach occurs. Companies are advised to consider hiring a trained, in-house security expert for this purpose. 5. Know how well your data is protected: Be aware of what systems and processes are employed to protect your data, and whether the security measures are adequate and updated regularly to combat new threats. However you understand cybersecurity today, an awareness of how your system works and where vulnerabilities might occur is an essential step in developing a strategy to protect your organisation against cyberattacks. With the sophistication of cyber threats that exist against businesses today, cybersecurity ought to be a top priority for any organisation or business with sensitive, private, or otherwise classified information. 1 Satter, R. (Mar, 2017). ‘What makes a cyberattack? Experts lobby to restrict them’. Retrieved from Ap News. 2 Craigen, D., Daikun-Thibault, N., Purse, R. (Oct, 2014). ‘Defining Cybersecurity’. Retrieved from Technology Innovation Management Review. 3 Moss, H. (May, 2018). ‘Cybersecurity & AI: A venture into reality’. Retrieved from MIT CSAIL. 5 Salvi, V. (Jan, 2015). ‘The debate on defining cybersecurity’. Retrieved from Bank Info Security. 6 Chernobai, I. (Apr, 2018). ‘Cybersecurity vs. Information security’. Retrieved from Protectimus. 7 Chernobai, I. (Apr, 2018). ‘Cybersecurity vs. Information security’. Retrieved from Protectimus. 8 Chernobai, I. (Apr, 2018). ‘Cybersecurity vs. Information security’. Retrieved from Protectimus. 9 Craigen, D., Daikun-Thibault, N., Purse, R. (Oct, 2014). ‘Defining Cybersecurity’. Retrieved from Protectimus. 11 Schatz, D., Bashroush, R., Wall, J. (Jun, 2017). ‘Towards a more representative definition of cybersecurity’. Retrieved from Journal of Digital Forensics, Security and Law. 12 Schatz, D., Bashroush, R., Wall, J. (Jun, 2017). ‘Towards a more representative definition of cybersecurity’. Retrieved from Journal of Digital Forensics, Security and Law. 13 Mehta, O. (Jan, 2017). ‘Cybersecurity vs. Cyber security: Don’t leave a gap in your security’. Retrieved from LinkedIn. 14 Fimin, M. (Nov, 2017). ‘Five biggest security technology trends for 2018’. Retrieved from IT Proportal. 15 Parisi, R. (Oct, 2018). 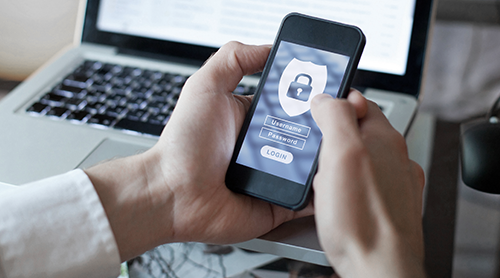 ‘Why cybersecurity insurance is essential to your risk management strategy’. Retrieved from Security Roundtable. 16 Bradford, L. (Mar, 2018). ‘What you need to know about cybersecurity in 2018’. Retrieved from Forbes. 17 Bailey, T., Kaplan, J., Rezek, C. (Jun, 2014). ‘Why senior leaders are the front line against cyber attack’. Retrieved from Mckinsey & Company. 18 Schacklett, M. (Apr, 2018). ‘10 ways to develop cybersecurity policies and best practices’. Retrieved fromZDnet. 19 Bradford, L. (Mar, 2018). ‘What you need to know about cybersecurity in 2018’. Retrieved from Forbes. 20 Chen, B. (Aug, 2018). ‘Fostering a culture of cybersecurity’. Retrieved from Forbes. 21 Telstra Security Operation Team. (2017). Retrieved from Cybersecurity Excellence Awards. 22 Telstra Security Operation Team. (2017). Retrieved from Cybersecurity Excellence Awards.